Register Log In Piano World Home Page Forums Forum Members Parties, Tours, Cruises, & Meetings Piano & Music Lovers Tour - Europe 2011 - JOIN US! 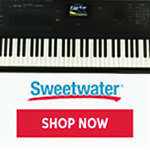 Are You a Piano and/or Music Lover? If You Are, This Unique European Piano Tour is for YOU! Here is Your Opportunity to Combine a Wonderful European Tour with Your Love of Piano & Music! Germany - Austria - 12 Days - 9 Cities - 4 Piano Manufacturers - Music Museums - Composer's Homes - Cathedrals - Castles - Concerts - Pianos - Music! 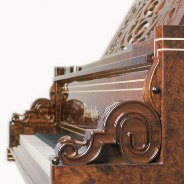 Come with us to Europe and watch how some of the worlds finest pianos are created, stroll through great composers homes, visit incredible musical instrument museums, attend live piano concerts (in a gorgeous castle with our very own "Piano Girl"), meet other Piano Forums members, stay in lovely hotels, eat in fine restaurants, Tour Castles & Cathedrals, take in all that Germany & Austria have to offer. All this and lots more. THERE IS STILL TIME TO Join Us! But you must act soon. This Unique European Tour is open to anyone who loves music, you do not have to be a member of our Piano Forums to join us. Of course we'd love to have you join the Piano Forums too (membership is free). Although visiting some of Europe's finest piano makers is central to our plans, we've expanded the tour to include SO MUCH MORE than piano shops see below. )(Cologne, Germany) Robin is one talented lady, and a member of our forums (see the long running "Let's Talk Weddings" thread). Steingräber u. Söhne Tour (Bayreuth, Germany) Conducted by Udo Steingräber himself. A gentleman and world class piano designer. Blüthner Tour (Leipzig, Germany) Tour to be conducted by Dr. Christian Blüthner. 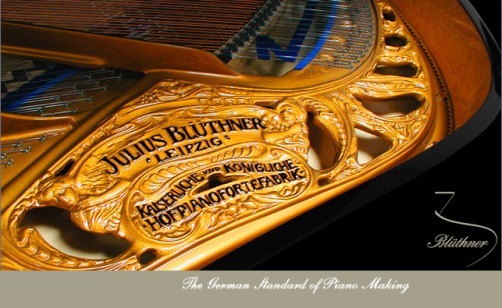 Dr. Blüthner has a fascinating bio, as does Blüthner piano. Bösendorfer Tour (Vienna, Austria)Thanks to the artist formerly known as Bosie Eric for putting us in touch with the right people. We will of course try to get some hands on time playing pianos ourselves as well. Morning visit to the Deutsches Museum (which houses one of the world’s largest musical instrument collections, with a performance of the music of Mozart on an original piano of his time and comparative demonstrations on instruments from subsequent time periods) and the National theatre (where we have applied for a visit behind the scenes). Afternoon drive to Salzburg, upon arrival we have a 2 hour walking tour with a local Salzburg guide (local guide is compulsory) and visit the Mozart Haus, the birthplace of Mozart. Afternoon “Musical Vienna”, a city tour connected with composers, with music, of which there are many in Vienna. Please keep in mind the pricing does not include airfare, as our members come not only from all over the U.S., but also around the world. We want you to be able to get the best flights and rates for your particular location/situation. However, if you need help with travel arrangements, our Travel Agency (Hills Travel, St. Petersburg, FL) will be happy to assist you. Also, if you are traveling solo and would be interested in pairing up to save the single supplement, Hill's Travel ( our agent) offers room matching. Please share this with your friends, post it on your Facebook/MySpace Page, Tweet it, do whatever you can to get the word out. This is going to be an experience to remember. If you like music, and especially piano, this is your tour. Meet other Piano Forums Members from across the country and around the world (everyone will receive some Piano World Piano Forums goodies). There were other piano companies who kindly approached us about visting. We did the best we could with the time we have (taking into consideration travel and free time, and not wanting to overload people with technical piano talk). If this tour is a success, we will definitely plan on another and will visit some of the other piano makers. Adding Pictures of some of the places we will be visiting. Please see additional pictures further in this thread (on second page). Hotel Hafen - Hamburg - Piano Bar! NOTE: Our Travel Agency Will Be Handling ALL Payments. For a breakdown on what the insurance policy covers, visit www.travelexinsurance.com or call 1-800-504-7883 (our ID # is 09-0477). We are looking forward to an exciting tour!! See running list of people joining the tour in next post below. For details, please see the post above. If you plan join us on this historic tour, please email me directly webmaster@pianoworld.com AND CONTACT OUR TRAVEL AGENCY! 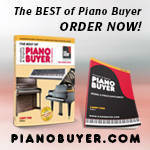 elle@hillstravel.com Please include Piano Tour 2011 in the subject line . I will add your name(s) to the list below. If other people are coming with you, please include their name(s) as well. the same area to join us. Can't wait to meet you all in Germany! IF YOUR NAME ISN'T ON THE LIST, and you want to join us, email me immediately! We have CONFIRMED Deposits from 23 people so far (counting Kathy & me). up I will share contact info with each of you. - the tour includes airport pick up. We will try to schedule the transfer with the tranportation company so that everybody can take advantage of it. Since the majority of the flights from the US arrive in Germany in the morning we should be able to find a time which will be convenient for all of you. Vienna has the musicians corner at the Vienna central cemetary. That is where Brahms, both Strauss father and son, Beethoven, Schubert, and other muscians are laid to rest. There is a Mozart memorial there too, but he is actually buried in another cemetary in the city. This looks fantastic. I wish I could go. I wonder why Schimmel are not yet making it onto lists of this kind. Here in Melbourne we have a a major importer of Schimmel pianos and some of the local professionals have converted. 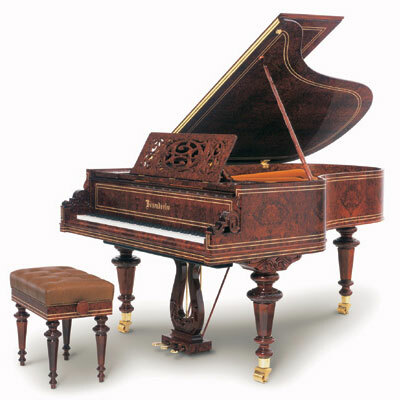 Some claim the Schimmel is competitive with Steinway for quality nowadays. Certainly the Schimmel I get to play occasionally is the best instrument I ever touched. Is Schimmel not yet big in N.America or are they still not regarded as top quality there? Tour looks fantastic - count me in! Great Elaine, glad to have you along. Just posted a link to this page on my Facebook, so we'll see! What a great tour! I'd love to join you guys. Unfortunately it's in the middle of the semester, and I teach at RWTH Aachen University in Germany, so I can't just disappear for two weeks. But here's a thought: I was responsible for creating the interactive "Virtual Conductor" exhibit in the House of Music Vienna. The entire museum is a must-see for music lovers, and it's right downtown, near the cathedral (http://www.hausdermusik.com/en/sound-museum/16.htm). The Virtual Conductor lets you conduct the Vienna Philharmonic on a huge full-HD screen - you can even control their tempo, and if you do badly, they stop playing and throw insults at you. (http://hci.rwth-aachen.de/po). It's the museum's top attraction. I'd be happy to join you in Vienna and talk to the museum director to arrange a special tour for us. Also, I live less than an hour from Bonn/Cologne and would love to meet up with you guys there on the 7th, to meet you all as well as Robin. Naturally, I'd be happy to pay my share towards any expenses. Let me know what you think! I'll have to see if we can fit it in our schedule somehow. we are in the neighborhood. Possible to include C. Bechstein? I'm afraid not this time. Our schedule is already very full and time is tight. We have been approached by a number of piano companies about visiting. It will all depend upon the success of this tour. If it fills up and goes well, we will most certainly look to put together another tour, visiting other piano and music related places. In the meantime I would encourage any piano related companies who would like to be part of our next tour to please contact me so we know they are in fact interested in hosting us. We are posting names as people indicate they plan on joining the tour (above, in this same thread ... http://www.pianoworld.com/forum/ubbthreads.php/topics/1474109.html#Post1474109 ). I also have the Tour details posted as an event on my Facebook pages which currently shows 9 attending and 35 maybe (along with 700+ who haven't responded yet). My assumption is some folks haven't stepped up yet because they are deciding if this will be their vacation trip in 2011 (hey, what a great way to spend it). Others may be checking out airline prices (it's a bit early for that, and our travel agency will help if anyone wants them to). Ideally I'd like to see 25-30 people join the tour, as that's where the best pricing for everyone comes in. And it would be fun to have a good sized group. And if we should end up with even more that would be great. Can we add your names to the list? $4400 + $550 ~ $5000 this is getting pretty steep to me. Are there options for a cheaper trip, for instance by using cheaper hotels along the way? Sorry wouter79, but we've put together the best overall package we could. 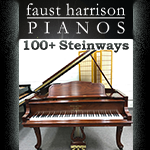 It includes lots of fun tours/visits and wonderful opportunities to see how fine pianos are built, plus lots of music. Because we wanted everyone to be comfortable, we chose to stay at hotels that offer A/C and other amenities. I realize it's not cheap, but we believe the tour offers a lot for the money. And keep in mind, once we have at least 25 people, the price drops to $3603 each (based on double occupancy, but we have some people who were traveling solo but are going to buddy up to avoid the "single" surcharge). I also hesitate because of the price. I think the hotels are generally first class, right? And the included dinners also raise the price. I will keep it in mind still, if I have a bit more time to think it over. If I don't end up coming though, would I at least be able to meet with the group when you are in Vienna? It would be fantastic to meet you all. Sure, we'd be happy to meet you. I realize it seems like a lot of money, but we're providing a lot in return. I don't know about the hotels being first class, but I'm pretty sure they are nice hotels (and air conditioned for us Americans who are used to A/C). The idea of the dinners is to make it easier for everyone at the end of a long day of touring/site-seeing. Instead of having to scramble for dinner plans, they can relax knowing it's all taken care of. I hope you do end up joining us for the full tour, but if not, let's plan on connecting while we're in Vienna. Well we can't commit yet, but we are definitely interested. It's on our calendar, should know in about 60 days.